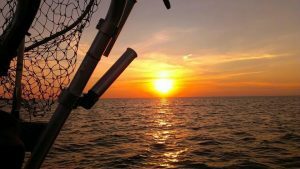 Saginaw Bay Area Ice conditions did improve around the Bay but it is still “iffy” out there in spots. There are fish to catch without crossing the pressure cracks which is much safer. Palmer Road near Standish was very busy with a lot of anglers on the ice. They caught eight to 10 inch perch in two to three feet of water. 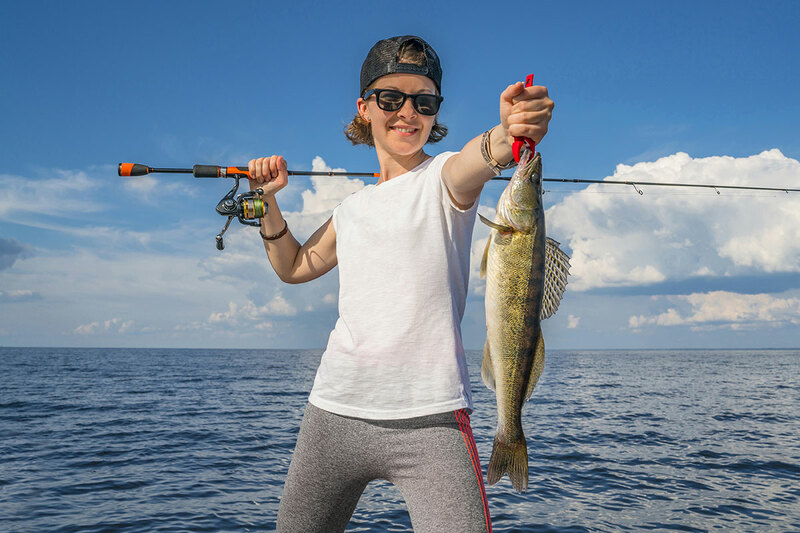 Walleye were caught in the evening in eight to 10 feet. White’s Beach had a few anglers targeting perch but the fish were small. Perch were caught at Pinconning and down off Newman Road. 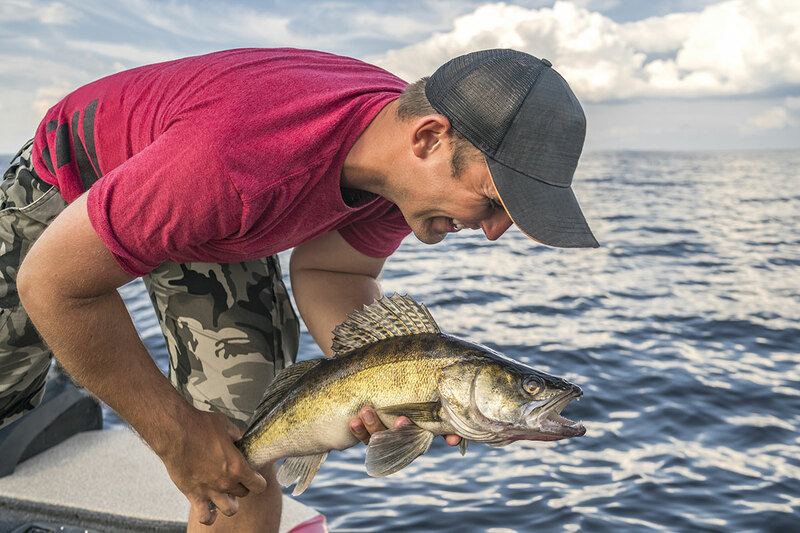 Walleye were found three-quarters of a mile off Erickson Road but anglers need to be aware of all the pressure cracks out there and use caution. There are active pressure cracks off Linwood as well. 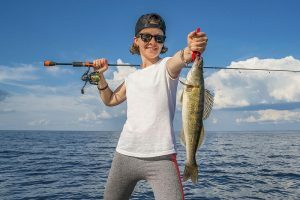 The occasional walleye was caught in eight feet off the Bay City State Recreation Area and from the shipping channel near Spoils Island. A few perch were caught near the range light off the river mouth. Perch fishing was spotty from Sebewaing to Bay Port. Some managed limit catches while others had none. Keep moving until you find an active school of fish. Walleye anglers were in the Slot and around North Island. Caseville was slow. Saginaw River still had patches of open water here and there and anglers are cautioned to stay well away from those areas. Anglers need to beware of thin and treacherous ice along the river especially with temperatures well above freezing by the weekend. Anglers were marking lots of fish however they did not want to bite. That was the rule from Saginaw to the mouth. Walleye were caught but not in large numbers. 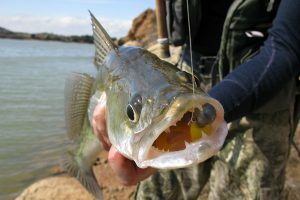 Most were jigging rapalas tipped with minnow heads. Hot colors were blue and silver, black and gold, purple or perch colors. 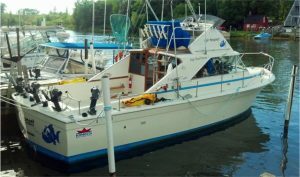 Fishing activity started near Wickes Park and Ojibway Island. A number of anglers were at the Frist Street turning basin at the north end of Saginaw and strung out north and south of the Zilwaukee Bridge. Be very careful of the ice near any of the bridges. The ice was not good near the Boys & Girls Club in the south end of Bay City. Anglers were fishing downstream of the Independence Bridge near the U.S.S. Edson but catch rates were spotty. Au Gres River anglers were taking a few walleye. Port Austin and Grindstone City each had a few ice shanties in the harbor that were close to shore. Tawas Area most ice fishing activity was still up in the “armpit” off Jerry’s Marina. Perch were caught in 15 to 20 feet and walleye in 20 to 22 feet but success was spotty. A brown trout, a few lake trout and whitefish were caught on a spoon with a minnow. Those fishing inside the state harbor caught a few pike and perch. Now may be the time to learn some tips and tricks for heading out onto this winter’s ice – how about four tips for fishing for northern pike? 1. Consider using a fluorocarbon leader that will be practically invisible to any pike, as opposed to a steel leader. 2. Keep your bait lively, both by using a well-aerated bait container and very sharp hooks to minimize injury. 3. Consider using something flashy with your bait, such as a small spinner blade, to entice pike in murky water. 4. Don’t be afraid to keep some slush around your hole in the ice to prevent pike from being spooked by your opening. Want more information on fishing for northern pike – there’s lots of stuff available online!